A serial arsonist appears to be responsible for setting fire to as many as dozens of vacant houses on Detroit’s east side over the past month, brazenly targeting multiple homes at a time. Since late September, firefighters have responded to about 50 house fires in an area generally bounded by 8 Mile, 6 Mile, Hoover and Gratiot. It’s unclear whether all of the fires are connected, but they have a relatively consistent pattern: The blazes usually break out in multiple numbers between 4 a.m. and 9 a.m.
On Oct. 13, four fires broke out in the same area, each one a half hour apart. What’s particularly brazen about these arsons is that most of them have been set while it’s daylight. 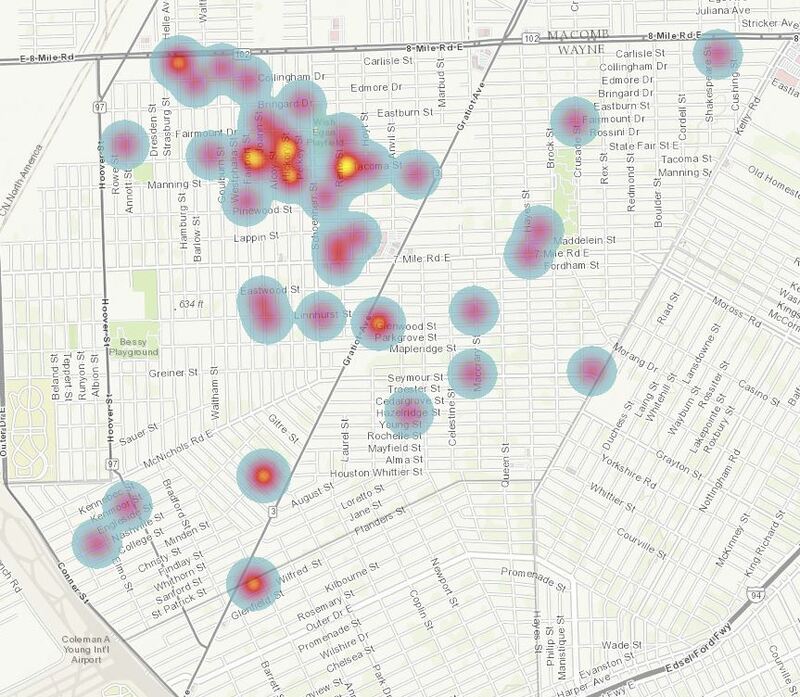 A vast majority of suspicious fires in Detroit occur after dark. The Detroit Fire Department provided this heat map of fires that have broken out over the past month. 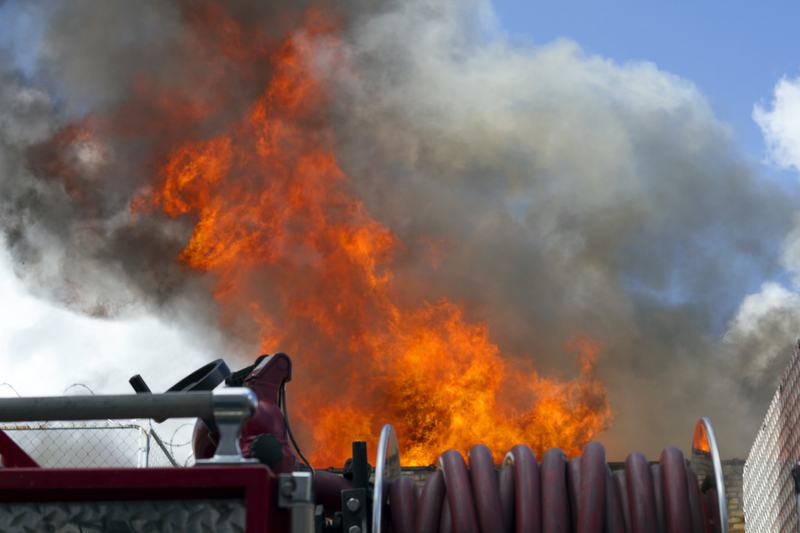 Detroit Fire Commissioner Eric Jones said the city’s arson team is actively investigating the fires and looking for tips that could lead to the arrest of the person or people responsible. The fires have occurred in an area beset by foreclosures and abandonment. Just east of the area, fire videographer Alex Haggart caught an arsonist in the act about 10 days ago. Police detained the woman, who was setting fire to a furniture store on Houston Wittier, but oddly the officer declined Haggart’s offer to provide video of the arson as evidence. Anyone with information about the fires is asked to call the arson hotline at (800) 44-ARSON or (313) 628-2900. A reward of up to $5,000 is available to anyone who provides a tip that leads to the arrest and conviction of the arsonist.